Broke-a-Toe offers photo packages along with your ride. The package is $40 and is a compilation of pictures that we take during the ride and after the ride. Shots during the ride include individual shots, family/group pics, couple’s pictures – kissing/handholding, and any silhouette, landscape shots that we take. After the ride, we take the family into the dunes, without horses, and take the classic dunes photos that highlight the kids, group, couple, etc. After the ride, we burn the disc of pictures and send home with you. These are unedited and include all of the pictures that we take. If we are extremely busy, then we get your info and send you the disc in 10-14 days(these will normally be edited). 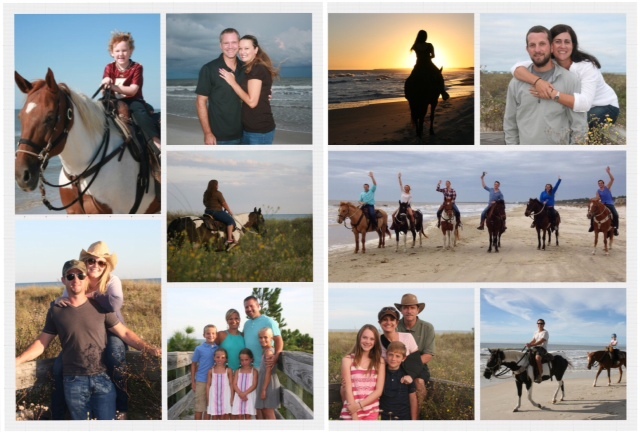 Many riders use the pictures for their Christmas cards, engagement announcements, anniversary celebrations, or just for their annual family picture. Planning a trip? Request in advance.